Madison General Insurance Kenya Limited is a member of the Madison Group and is a leading provider of healthcare and general insurance services throughout Kenya. The Medical Services Manager position is newly created and it should be of interest to practicing Doctors who wish to develop careers in corporate management. The position will be located at the Company’s Head Office in Madison House. You will report to the Assistant General Manager, Healthcare Business Unit and will work closely with other team members in order to maximize efficiency in healthcare provision to our customers. · Coordinate healthcare education and wellness programs within the Company. · Good leadership and communication skills. This newly created position will be located in the Company’s Head Office in Madison House and will report to the Medical Services Manager, Healthcare Business Unit. The position will work closely with other team members and collaborate with healthcare providers to maximize efficiency in the provision of Healthcare insurance services to our customers. · Develop and participate in healthcare programs that are beneficial to our customers. 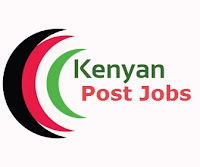 Candidates with the required qualifications, experience, and competencies who wish to apply for any of the above positions are required to forward their applications with their CVs, copies of relevant certificates and details of current remuneration to the Human Resources Manager at hr@madison.co.ke not later than 18th February 2019. New PHOTOs of cancer stricken CHRIS KIRUBI emerge, God works miracles, Look at his body.